Ebenhaezer and Papendorp are two fishing hamlets situated on the Olifants River. Ebenhaezer is one of the oldest towns in the district and was founded by the Rhenish Missionary Society as a mission station in 1834. It was originally the site of a Khoi kraal. When James Backhouse visited Ebenhaezer in March 1840 he wrote that several people were living in huts built of reeds and mud, and that residents were building a windmill on a low hill outside the town. Today these old clay buildings and riethuise add to the town’s unique charm. The town’s residents and farmers benefit from the Olifants River Irrigation Scheme, and make a living farming cattle and sheep, and grow cash crops like lucerne, bean and coriander. Papendorp is a small fishing hamlet at the mouth of the Olifants River, and was originally known as Viswater. Fishing boats, fishing nets and dried harders or bokkoms are all part of this hamlet’s cultural landscape. Residents also make a living harvesting salt. The salt pans can be visited by appointment. Search Ebenhaezer and Papendorp accommodation for the perfect place to stay. 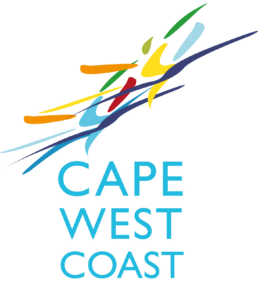 Remember that you can also download the Cape West Coast free Application and find accommodation in the other regions. Not just only the Namaqua West Coast region but also, Peninsula, Cederberg, Bergrivier and Swartland regions. Find accommodation or places to stay where you can use the real time booking platform to book a place. ( Not all accommodations are on real time booking,but use the”Click to dial” or direct e mail to book your stay.